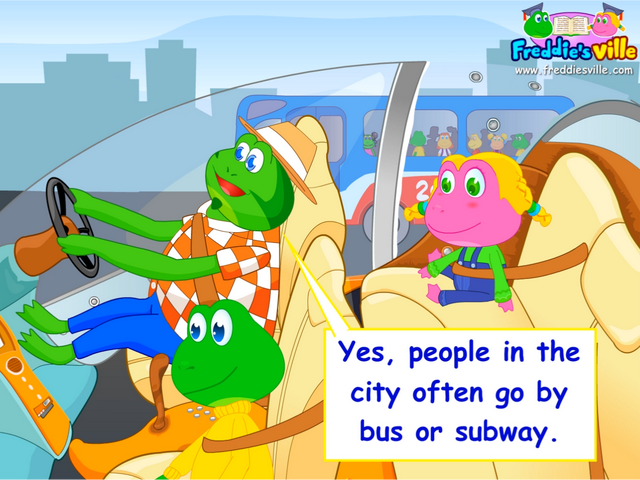 Language Objectives: In this lesson, the question words ‘how’, ‘where’, and ‘when’, will be used to ask questions about transportation means and lengths of time. Dialogue Story: The kids want to go with Dad when he goes out of town. They go to the airport to pick up Mona, who is Freddie’s aunt. While they are on the road, they talk about different means of transportation. They ask questions about time, as well.